Starting your every day with a cup of coffee? Check out the benefits. For majority of people a cup of coffee is the best way to start the day. Coffee wakes us up with its taste and aroma and prepares us for the hardships of the day. As it turns out, it not only invigorates us but it is also good for our health. Scientific researches dispel coffee myths. So far coffee hasn’t had a good reputation for its health benefits. However, international studies show something completely different. It turns out that coffee can, for instance, reduce the risk of cancer and level of stress, and improve our memory. 1. The body is absorbing a large dose of antioxidants. The coffee contains many nutrients: vitamins B2, B5, B1, B3, folic acid, magnesium and potassium. As it happens, for the average person who eats in a typical western style, the main source of antioxidants is coffee, ahead of fruits and vegetables in this respect. The percentage of each of the above vitamins in a cup of coffee varies between 1 and 11%, which may not be too impressive, but now multiply it by the amount of coffee consumed per day. And there you have it. 2. The brain will remain in a good condition, even in old age. A research published in the scientific journal “Scientific Reports” shows how over the years the stress hormone accumulated in the brain can adversely affect our memory. Researchers from the French laboratory have tested this on the example of aging rats. In older animals, which were given caffeine, memory and stress levels have been normalized. This experiment has been used in further studies involving, for example, Alzheimer’s and Parkinson’s disease, where it has been confirmed that drinking coffee reduces the risk of both diseases by preventing the development of dementia. 3. Helps fighting against cancer. Researchers from the Japanese National Institute of Public Health in 1990- 2012, were testing 106,324 people (50,438 men and 55,886 women) on the consumption of coffee and compared them to the developing symptoms of brain tumors. The correlation between coffee drinking and the development of the disease has been detected. The risk of brain cancer was significantly lower in this study group. 4. Strengthens resistance to type 2 diabetes. About 300 million people around the world are suffering from type 2 diabetes. But if you drink coffee, you have a reason to be happy. Studies show that frequent coffee drinking lowers the risk of diabetes by 23-67%. 5. Reduces the risk of cirrhosis. Frequent drinking of coffee significantly reduces (up to 84%) the risk of cirrhosis. The greater the daily dose of caffeine, the lower the risk of illness. The fact that coffee is a stimulant is obvious, and that is why most of us drink it. Caffeine stimulates the functioning of the brain by blocking a neurotransmitter called adenosine. Thanks to that, after drinking coffee we feel revived and tiredness is suppressed. 7. Your mood will improve. 8. You will enjoy life longer. Sounds too good to be true, but this is testified by a study conducted in 2012 by The New England Journal of Medicine, one of the most recognized medical journals in the world. Study of lifestyle of 402,260 people between 50 and 71 years of age showed that coffee drinkers statistically live 12-13 years longer. 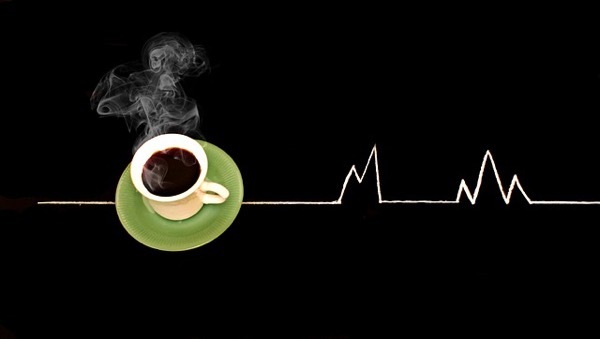 All in all, those who start each day with a cup of coffee will improve their health. 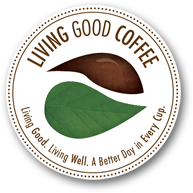 Welcome to the world of delicious, healthy coffee.